When carpets are clean your home looks better, and your carpet will last longer too. But the best thing about having clean carpets is it will improve the health of you and your family. The U.S. National Center for Health Statistics states that one in every three people that live in the United States suffers from a respiratory problem. This can be allergies, asthma, bronchitis or sinusitis, to name a few. For those that suffer from asthma or snoring, dirty carpets can affect their breathing. The first step to remedy this problem is to vacuum carpets three times a week, if not more. Other than vacuuming, have your carpets professionally cleaned on a regular basis. Many will say that this is unnecessary, but if you need more proof, keep reading! 1. 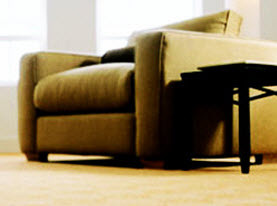 Carpet cleaning removes trapped pollutants. The Environmental Protection Agency (EPA) states that dirty carpets can trap indoor air pollutants. These include pet dander, cockroach allergens, particle pollution, lead and all that dust and dirt we deal with every day. These particles can all grab onto toxic airborne gases and then also become trapped in the carpet. When we walk on our carpets or vacuum, these toxic gases are released and can contaminate the air in your home. When you have your carpets cleaned by professionals it kills the bacteria with the use of special shampoos that work to remove all the bacteria that is lurking in your carpets. The equipment they use is very powerful. 2. Carpet cleaning can get rid infestations of dust mites. It would be hard to find a home that doesn’t have a dust mite infestation. Most homeowners don’t even know they have one. While they aren’t allergens on their own, they can leave feces and body fragments behind that can become problematic. These microscopic particles can’t be seen and are easily inhaled, making allergies worse. Professional carpet cleaners use equipment that will expose your carpets to high temperatures that will kill dust mites. 3. 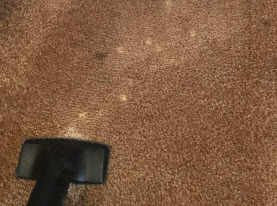 Carpet cleaning can prevent mold growth. Mold growth can be a bigger problem in climates where humidity is high, and carpets are dirty. This happens more easily when carpets get wet. Rainy days can track moisture into your home that gets deep into the carpet fibers if it’s not dried right away. 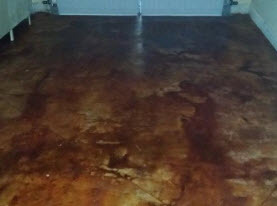 Professionals use equipment that dry carpets at a level that destroys moisture. When moisture is completely removed, it prevents mold growth that can cause problems for your health. Professional carpet cleaners use special equipment that eliminates allergens, dust mites, mold and lot of other bacteria. The job they do is far better than anything you can do on your own. It will cost more but is worth the price. Your carpet will look better and last longer which will save you money down the road because you won’t need to replace it sooner than it needs to be. 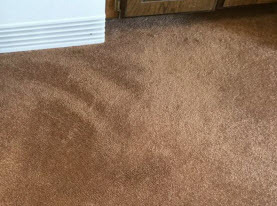 Don’t delay professional carpet cleaning, contact Agape Carpet Color Restoration to schedule an appointment today!